Strategic alliances offer organisations an alternative to organic growth or acquisition when faced with the need to develop the business to a new level, innovate in terms of products or services or significantly reduce costs. The Strategic Alliance Handbook is a clear and complete guide to the nuts and bolts of the process behind successful collaborations. The book enables readers to understand the commercial, technical, strategic, cultural and operational logic behind any alliance and to establish an approach that is appropriate for the type of alliance they are seeking and the partner organisation(s) with whom they are working. 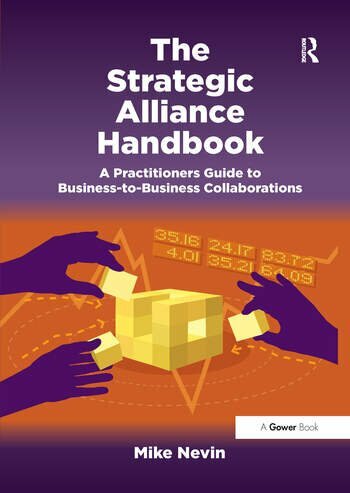 Whether you are an alliance executive, responsible for the systems, strategy and performance of your organisation's alliancing programme or an alliance manager needing to ensure the success of a given partnership, The Strategic Alliance Handbook is an essential guide. Contents: Foreword; Preface: how it all began. Part I Emerging Alliance Best Practice: Alliance success factors; Common challenges. Part II Alliance Analysis: Benchmarking alliance relationships; Organisational alliance maturity; Alliance optimisation; Creating a new strategic alliance. Part III Common Success Factors: The commercial dimension; The technical dimension; The strategic dimension; The cultural dimension; The operational dimension. Part IV Special Strategic Alliances: Co-opetition: sleeping with the enemy; Insource/outsource/smartsource. Part V Developing Alliance Capability: Partnering with SMEs; Developing alliance programmes; Alliance standards and schemes; The strategic alliance professional; Collaboration: the future. Appendices; Index. Mike Nevin is the founder and first chairman of ASAP Europe, The Association of Strategic Alliance Professionals. He now runs his own consultancy firm, Alliance Best Practice Ltd (www.alliancebestpractice.com). This is a research and benchmarking consultancy specialising in collaborative business-to-business relationships (alliances and partnerships). The consultancy uses proven methodologies and tools (alliance best practices) to help clients initiate and manage alliances. It also maintains a database of over 200,000 observations of alliance best practice in action. The company has worked with over 300 alliance leading companies including; IBM, Microsoft, SAP, Oracle, Capgemini, Accenture, Logica, Tieto, BT, O2, Rolls Royce, GSK, AstraZeneca, DuPont and BASF.